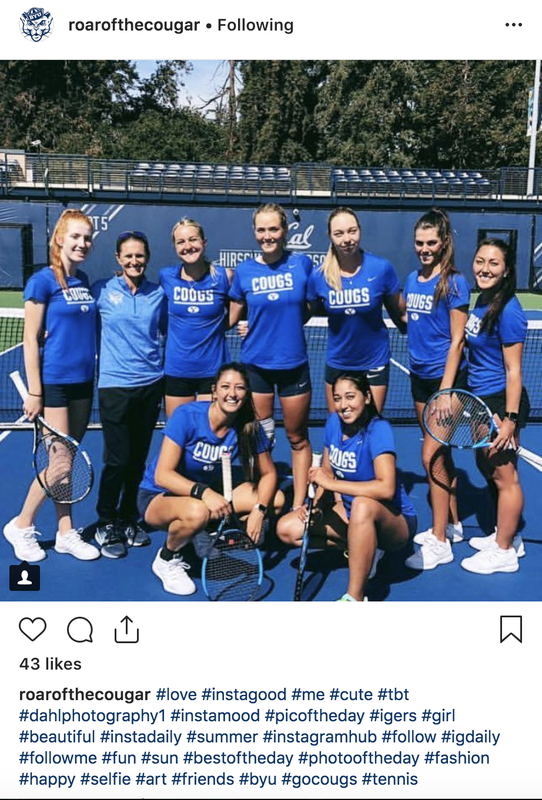 The BYU women’s tennis team credits its recent success at the Cal Fall invitational in Berkeley, California, to their new found positivity and sportsmanship. Head coach Holly Hasler said she has made changes to the team regarding discipline, sportsmanship and positive energy on the court. “We are really trying to build on more team unity, and we’re really trying to work on encouraging and pushing each other with our positive energy and footwork,” Hasler said. Hasler implemented a “no excuse” policy to hold the girls accountable for the way they play their game. According to Hasler, this encourages discipline and hard work but keeps the energy positive on the court. “I think in the past they have been able to get away with a lot of excuses — so no excuses,” Hasler said. Taylah Beckman, a senior on the team, said initially it was difficult to make the transition. These new changes are making a great impact on the team and the way they play individually and together. Samantha Smith, a junior on the team, said the team is pushing each other to be better. At the invitational in Berkeley on Sept. 29, the team was able to recognize these principles transitioning into their match play through the victories they were taking and the new mindset they have acquired, according to Smith. When Smith was playing, Hasler was on the sidelines telling her positive things and boosting her attitude during the match. Smith said that changed her perspective. The Cal Fall Invitational was an eye-opener for the players and the coaches, according to Hasler. Players on the team said they appreciate Hasler’s efforts to help them improve. According to Hasler, the team is working on developing these skills to become muscle memory so it will naturally come when they go to the court. Beckman and Smith moved on to the finals of the ITA Doubles at the Cal Fall Invitational and Madeline Almeida advanced to the semifinals of the ITA Gold Singles. The Cougars head to Las Vegas on Oct. 11 for the ITA Regional Championships.